Over 15% of American adults suffer from headaches or migraines on a regular basis. Various factors and stressors can contribute to the onset of headaches, and eye problems could very well be one of those reasons. 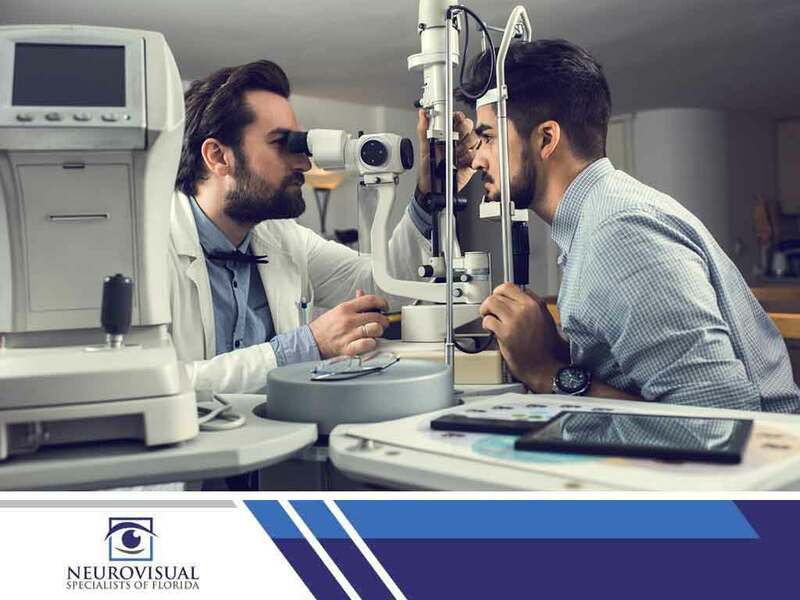 In this post from NeuroVisual Specialists of Florida and iSee VisionCare, your eye doctors for pain with eye movement talk about eye problems that may be associated with headaches. In addition to eye fatigue, there are certain eye problems that, if left untreated, can result in severe and persistent headaches. Below are some issues that may be related to the migraines you experience. Images and objects appear blurry to patients with astigmatism. This is because astigmatism is a condition where the cornea is irregularly shaped. In effect, astigmatism forces you to squint, thus leading to a headache. Far-sightedness, or hyperopia, refers to the condition where a person can clearly see and process visual information from afar, but finds objects up close to be blurry. To compensate, patients with hyperopia often have to squint to see nearby objects more clearly. According to the eye doctors for headaches while reading, the effort put forth trying to bring objects into visual focus is what leads to headaches. Your eyes age as you grow older. Due to the aging process, your eye lens hardens, which makes it difficult to focus on objects. Whether they’re near or far, objects will appear blurry or out of focus. As your eyes struggle to see things clearly, they squint. The excessive squinting and eye strain can then take their toll and develop into a headache. Don’t dismiss your headaches as mere nuisances. Regular eye exams and early detection of these vision problems allow you and your eye doctors for headaches while reading to manage them better. Count on NeuroVisual Specialists of Florida and iSee VisionCare to cater to all your eye care needs. Give us a call at (561) 733-9008. We work with patients in Boca Raton, West Palm Beach, and Lake Worth, FL.